Which might make me a hypocrite because I eat tomato sauce. And I might dip fries into ketchup once in a blue moon (McDonald’s fries only). But an actual tomato? Blech. They’re so slimy! And seedy! They make sandwiches soggy! I don’t get it. I really don’t. Not long ago though I learned a new trick. If I roast them with olive oil they get all sweet and delicious and then I like them a lot and want them on everything. I know this is hardly a recipe but it’s so easy to keep a batch of these in the fridge and add them to salads and pastas and pop them into your mouth one by one like grapes. Stay tuned because later this week I’ll show you what I put these on. It’s magical. Preheat oven to 400 degrees and line a cookie sheet with parchment or a Silpat. Toss the tomatoes with the oil, seasoning and salt. 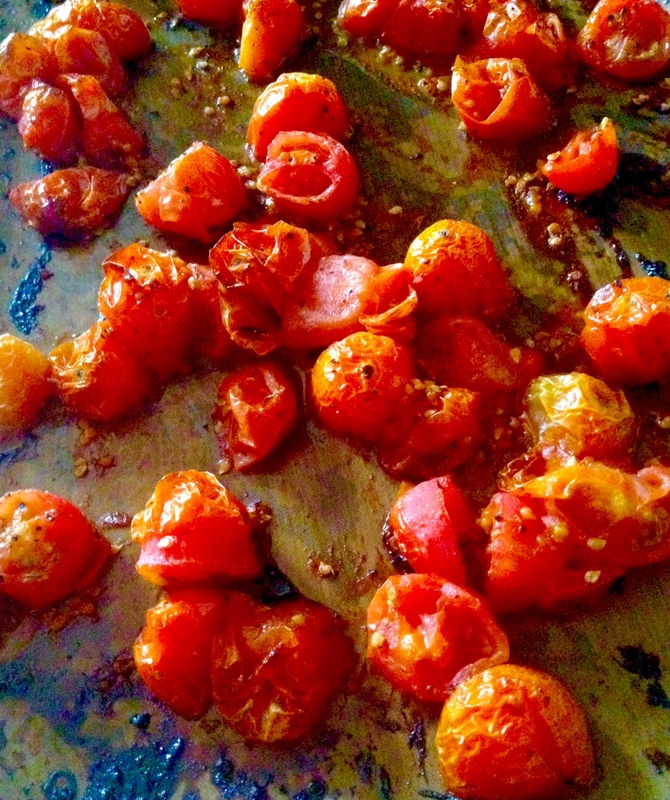 Roast for 20-30 minutes until tomatoes burst and are caramelized. Use as desired.